Voting is now open for the ILDA Board of Directors. Scroll down towards the bottom of this page to see the list of candidates. Underneath that list is the section “How to vote for Board candidates” which tells you the voting procedure. ILDA is governed by a five-member Board of Directors elected by the membership. Elections are held during the Business Meeting, which is part of the annual ILDA Conference. Each director serves a term of two years. A director may run for re-election if he or she wishes. The President is a Board member, who is elected by ILDA Members. The vote is held each year, just after Board elections have finished. Board members are asked if they want to run for President. If only one person accepts, they become President. If more than one person accepts, then there is an election where Members vote for their choice. In its first 30 years, ILDA has had 39 directors. This is an average of about four years of service per director. A text list of past Board members is on the ILDA history page, and we have a timeline graphic showing the Board members and their terms. You can write to individual Board Members by searching the ILDA online directory for their name (or if they are not the company contact, search for their company's name). 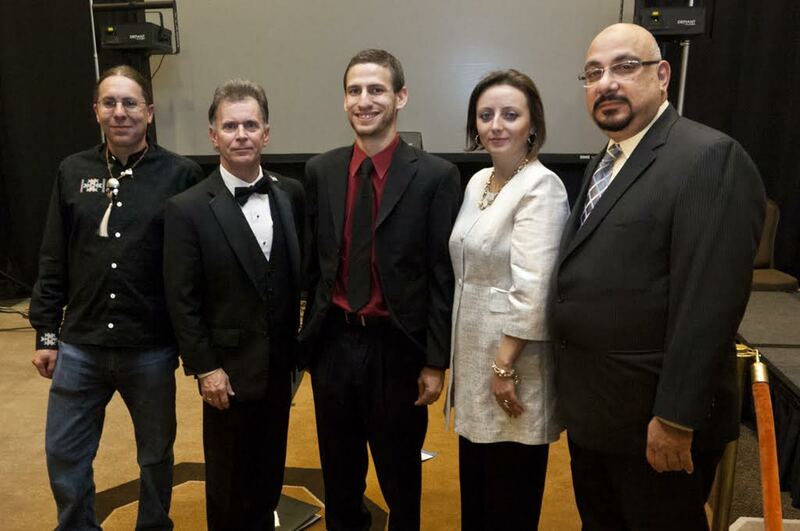 L-R: Christopher Short, Brad Billet, President Brian Gonzalez, Olga Eser, Abdulwahab Baghdadi. Photo courtesy Mike Gould. From the ILDA Bylaws: "The Secretary shall be responsible for all correspondence, notifications, and other communications as requested by the President or Executive Director. The Secretary shall handle requests for general membership information and shall, accordingly and upon such request, be responsible for disseminating such information. The Secretary shall assist the Executive Director and host company in coordinating annual General Membership Meetings." The Executive Director is hired by the Board to run ILDA's day-to-day operations. In most cases, if you have an issue or question, you should first contact the Executive Director. Committees do much of the work of the association. For a list of committees and contact information, click here. The Board of Directors is responsible for ensuring the Association’s long-term financial stability while fulfilling the association’s strategic mission. 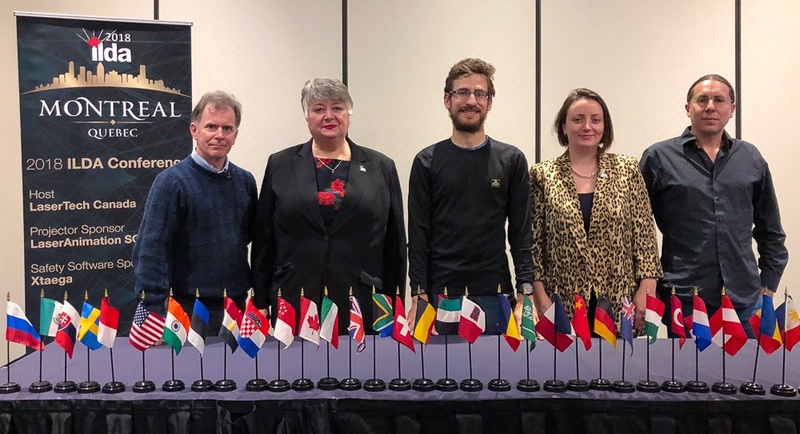 ILDA’s Bylaws — and especially Section VIII, Board of Directors — sets forth the official description of the ILDA Board’s qualifications, election and duties. Maintain your membership, and in addition to membership, assist ILDA in developing new sources of income and soliciting new Members. Participate in assessments to improve board performance. While some of the Board responsibilities listed above may sound like hard work, Board service is also very rewarding. You'll broaden your horizons by interacting with a variety of companies and people. You'll be able to shape important issues within ILDA and the laser display industry -- one person can make a difference! And you'll have a better feel for the laser show business, which will spill over into your own day-to-day business. Consider running for the Board and joining a distinguished list of past and present industry leaders! For 2018, the nomination deadline is 10:00 AM EST (New York time) on Sunday, November 4. 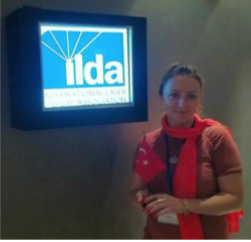 This is exactly one week before the start of the Business Meeting to be held at the ILDA Annual Conference. For 2018, there are three Board seats that will be voted on. The seats are currently held by Brad Billet, Olga Eser, and Christopher Short. Any qualifying ILDA Member can run for these seats; also, the current Board members can run for re-election if they wish. 1. The candidate must be an ILDA Member. Specifically, the candidate must be an ILDA Individual/Hobbyist Member, or an owner or full-time employee of an ILDA Corporate or Nonprofit Member company, at the time of the election. Student Members cannot run for the Board. 2. The candidate, or his/her Member company, must be a Member of ILDA during the past two Membership years. This means the current Membership year (year in which voting takes place) and the previous (most recent in the past) Membership year. 3. The candidate, or his/her Member company, must be in good standing within ILDA. This means 1) all dues and any other outstanding transactions with ILDA are paid and up to date, and 2) the candidate's Membership has no issues with the Ethics Committee. You may nominate yourself to run for the Board, or you may nominate another Member. The nomination must be emailed at least one week before the start time of the Business Meeting that is held during the ILDA Conference. The nominated person does not have to be present at the Business Meeting. To nominate yourself or another person, simply send an email to ILDA, with the your name, the name of the nominee, and a brief statement (500 word maximum) describing why the person being nominated would be a good Board member. If you are nominating another person, we ask that you contact them first to be sure that they want to run and serve on the Board. Below on this same page will be the candidates and their statements (500 words maximum). If the candidate wishes to provide additional material, there can also be a single link to a candidate's external web page or site where more information is available. There is no limitation on the length or content of any material -- written, video, etc. -- which is accessible via the linked page. If the candidate wishes, he or she can add a single photograph along with their name and statement. Submit this to ILDA — if possible at the same time as the nomination and statement, although we can add the photo later. Although candidates are encouraged to attend the Business Meeting held during the Annual Conference, if they cannot attend, they can submit a video file (MP4 or MOV format) to be played at the meeting. This video is to be the equivalent of the candidate standing up before the meeting in-person to talk to the voters. The candidate must speak for themselves, to the camera. There can be no other shots or edits -- it is a personal statement, the equivalent of standing up in person at the meeting. The maximum time for the video is 3 minutes. The video file must be provided to the Executive Director at least 48 hours before the start of the Business Meeting. ILDA is not responsible if the video file is unable to be played due to technical issues. Note: Descriptions of the Board election and other procedures are subject to change. In case of any disagreement between the descriptions on this webpage, and the most-current version of the ILDA Bylaws, the Bylaws take precedence. Click on each name to see the candidate’s statement. There are three seats up for election this year. This means that ILDA Members can vote for up to three of these candidates. Hi. I am respectfully entering my nomination to the board of directors for the International Laser Display Association. My name is Bradford (Brad) Billet and have operated BB Laser Productions since 2011 and have been an ILDA Member for 7 years, mainly Corporate Level 3. 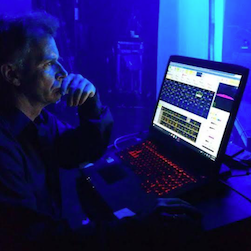 BB Laser Productions began as a value-added service exclusive to a venue I manage, the Executive Banquet and Conference Center in Newark, Delaware providing laser displays and other non-coherent lighting for proms, weddings, and corporate events. It has expanded to include outside work with bands, national DJ's, offsite corporate functions and international shows. I am heavily involved in the hobbyist community through Photonlexicon and have been a regular at laser related gatherings around the US, most notably a key organizer of SELEM in North Carolina each August, one of the largest gathering of laser enthusiasts in the world. In 2016 I served as host and judging coordinator for this year's ILDA artistic awards, a task I am hoping to volunteer for again many times in the future. I am also an ILDA LSO. My reasons for pursuing this are numerous but a key reason is I have at times, been a vocal critic of ILDA, as have a number of others I converse with and after some soul searching, realize that rather than complain, it's truthfully a much better option to try and become part of a solution to help make the organization better. I am now committed and prepared to take on that role. I have had a lot more interaction with ILDA members and leaders over the past year and would welcome the opportunity to work more closely with them to make the organization more valuable and visible to you, it's members. While I don't necessarily possess the same depth of electronics or optics or technical knowledge as some members who have spent a lifetime around lasers, being a member of a Board of Directors is more about working with people and driving organizations forward than it is with knowing how to re-gas an ion. It's about organizational and communication skills. It's about vision. It's about being a person of your word and having the integrity of following through. It's about honesty. Speaking of which, I'm truthful enough to publicly admit in a bio that I'm also running because it might potentially be a selling point with a client someday down the road. But mainly... it's the fact that I want for the organization to be something you want to join, are proud to join, and believe is a value to your profession. My name is Olga Eser, and I am a Principle Director for Effect a leading laser light show company located in Antalya, Turkey. We have been involved with the laser display industry since 2006, and although this is not a long time, we have made a very large impact on the laser show industry here in Turkey, and have become the countries leading provider of laser display solutions. I am announcing my candidacy for the ILDA Board of Directors, because I believe that I can use my experiences in business, marketing, and international affairs to help further this great organization we all care so much about. Turkey is a very small country as many of you may know, and in only 12 years, we have completely changed the laser business in this country. Through strong marketing, an emphasis on product quality and customer service, and by putting safety and education first, we have grown into the premier laser display organization for this area. My goal in running for the ILDA Board is to help further grow this great organization, and to put my business skills to work for the industry as a whole - Using the same principles we have used at Effect to grow our business. I believe that because my background comes from outside of the laser industry, I can have a unique outlook on new and innovative ways to help our organization grow. My primary focuses will be on helping the organization gain new membership in Eastern European countries, through strong and focused marketing efforts. And because I speak Turkish, English, Russian, and Romanian fluently, I believe these language skills can be utilized by ILDA to help translate marketing materials, etc to use in an effort to gain new membership. In addition, I will put a heavy focus on laser safety, and on ensuring that only compliant laser products are sold to consumers in our area, and abroad. I believe this is a vital element that needs to be addressed to ensure the longevity of our industry... Because as our industry continues to grow, the importance of safe laser display applications becomes every more relevant. And finally, I would like to be on the ILDA Board in an effort to give something back... ILDA has done so much for us as members, and you cannot put a value on the worth of an ILDA membership. I personally have a passion for this industry and want to do what I can to help further ILDA and all of our businesses as a whole, through well planned and executed growth. I want to help bring new members into our organization, to help market ILDA and to help further promote the need for safe laser display. My Company is member of Antalya Chamber of Commerce and Industry, Member of West Mediterranean Exporters Association; I’m member of Women Entrepreneurs Council of Antalya Chamber of Commerce and Industry; Member of KADEM – Women and Democracy Association (Istanbul) and Member of KADEM Foreign Affairs Committee; Member of NGO Committee on the Status of Women. Thank you for your time, and for considering me in this year’s Board vote. My name is Christopher. I'm an artist and systems engineer. I've been building laser display hardware and programming shows for a number of years. I started working on laser equipment as a hobby and as a way to add unusual elements into my photography projects. Now I'm an ILDA award winning content creator and last year I had the honor of being the first individual ILDA member to sweep an awards category. We are extremely fortunate to be allowed to do what we do. To tell stories and entertain and convey meanings and passions with only flickering light and mirrors. What we do is only the smallest of steps away from science fiction. We've been given this strange and seductive technology and we have an obligation to create the most amazing and elegant light with it. We are the innovators and the creators of this art and this industry and that is such a rare thing. I originated from the hobbyist community and I've experienced first hand the threads of art and science and innovation that hobbyists and experimenters have to offer. I fundamentally believe that these new ideas and approaches only enrich our palettes and tools. It's not about making kilowatt beam shows. It's about making art and tension and emotion and wonderment. I'm very interested in bringing to ILDA new focuses on art and presentation. We have the technology and the talent and the artistry and it's just a matter of finding the proper aggregate. I have strong attention to safety and details, experience working on international teams, and a desire to sublimate the laser industry. All I'm asking is to let me share some of my energy and passion with you so we can all make better light. If you are NOT going to the 2018 Business Meeting in Montréal on November 11, you can vote by email up until 10:00 AM EST (New York time) on Saturday, Nov. 10. Voting is open to all ILDA Corporate, Nonprofit , Individual and Hobbyist Members. Student Members do NOT have a vote. 3) Board of Directors choices: Type the names of up to three candidates who you want on the Board of Directors. You can name one, two or three people. They must be from the candidate list (gray bars) above on this page. There are no write-in votes allowed. Then, put a ranking number next to each one, showing your favorites. Put a “1” next to your favorite person for President, a “2” next to your second-favorite, and so on until you have put a “6” next to your least-favorite person. Send this information — your name, ILDA Member name, up to 3 Board of Directors choices, and ranking of all President choices — to vote@laserist.org by the deadline listed above. If you are attending the 2018 Business Meeting which starts at 10:00 am on Sunday, November 11 in Montréal, you will vote in person. During the meeting you’ll be given detailed instructions and ballots. The Business Meeting is part of the 2018 ILDA Conference in Montréal. • If you are an ILDA Member who has registered for the Conference, simply show up at the Business Meeting. • If you are an ILDA Member who has NOT registered for the Conference, you still can attend the Business Meeting for free. To register for the Business Meeting, go to the Event Registration page. This event will be visible only to current ILDA Members (it will not appear on the list of events for non-members). • Board Vote: During the first Business Meeting session, there is a vote for the three Board positions that are open in 2018. Each Member can vote for up to three of the candidates who are running for the Board. The persons receiving the most total votes (in-person plus email votes) become the new Board Members. • President Vote: Later in the day, or the next day, there is a second Business Meeting session. During this, all five Board members are asked if they would like to run for President of the Board of Directors. If more than one Board member wants to run for President, there is a second vote to see who wins this position. Again, this uses both the in-person and the email votes. A description of ILDA voting procedures, and how votes are counted, is on the page ILDA Voting Procedures. This page is under the For Members Only menu at the ILDA Member & Event Management website; Members will need to log in with their username and password. There are two parts to voting for the Board at the Business Meeting, which is held each year during the ILDA Conference. • Board Vote: During the first Business Meeting session, there is a vote for the open Board positions. (The open positions includes Board seats whose two-year term has expired, plus any seats where a Board Member has resigned in the middle of their term.) All nominated candidates are voted on. The persons receiving the most votes become the new Board Members. • President Vote: Later in the day, or the next day, there is a second Business Meeting session. During this, all five Board members are asked if they would like to run for President of the Board of Directors. If more than one Board member wants to run for President, there is a second vote to see who wins this position. • If you will attend the Business Meeting – great! You will get to hear from the candidates and to cast your vote in person. • If you will NOT be attending the Business Meeting, you can vote by email up until 24 hours before the start of the Business Meeting. In the week before the election, ILDA will provide detailed instructions to each Member. Basically, you will email your choice of the Board candidates. Also, will rank all the nominees in terms of your choice for President: who is your first choice for President, who is your second choice, etc. Each year, when it is time to vote for ILDA Board candidates, detailed instructions for Board voting will appear above. The following instructions tell Board members when and how to get onto the monthly teleconference meetings. Board teleconferences are scheduled for the second Tuesday of each month at 12 noon, Orlando time. We may send out reminders, but ultimately it is each Board member’s responsibility to mark this as a recurring event and to try to keep the time free. 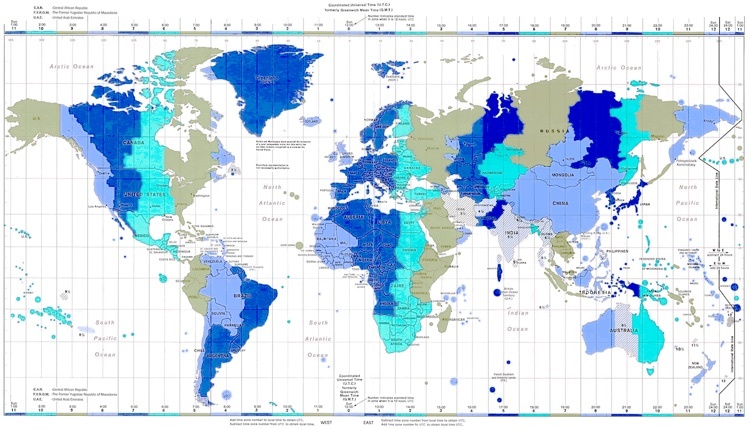 This chart does NOT take into account the fact that U.S. Daylight Saving Time occurs on different dates than in other countries. Therefore, you should double-check before each meeting to ensure you are calling in at 12 noon Orlando time. After connecting, enter the Participant Passcode, which is 3394389#. This gets you into the teleconference.